Born in Sichuan China, Yun Fa Tang (aka Shorty Tang) found his way to New York when an American businessman loved one of his eateries in Taiwan so much that he offered Shorty and his family sponsorship for immigration to the United States. 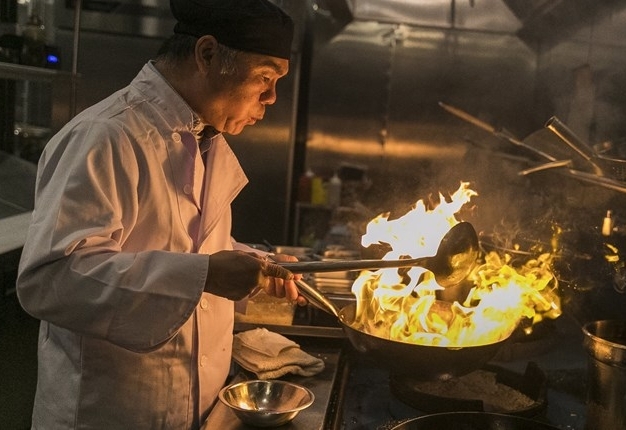 He opened several restaurants in the city including the original Hwa Yuan on East Broadway in 1968, introducing Sichuan food and sesame noodles to New York diners. His son, Chen Lieh Tang, took over the family business until the restaurant closed in 1992 when the Bank of China became the tenant of the East Broadway location. When the bank moved out in 2014, Chen Lieh Tang was approached by the city's Executive Director for Chinatown Partnership with the idea of re-opening Hwa Yuan to help revitalize the heart of Chinatown and bring back some of the original Chinese cuisine that seems to have disappeared from Chinatown. In this special interview with Chef Chen Lieh Tang and his son James, we talk about what it's like to re-open this renowned restaurant, Chef Tang's sense of responsibility to rebuild Chinatown, and of course, what makes cold sesame noodles so darn good.